Simon Vincent was born in London 1967. Vincent’s CV reads like a Burroughs cut-up. He has studied contemporary classical and electro-acoustic music at UEA, composition with Karlheinz Stockhausen, played live hip-hop with Def Tex, performed with acts from contemporary electronic dance music scene like…, and improvised with VHF, the Zapruda Trio Simon Fell Quintet and Halliwell/Vincent, performed electroacoustic compositions and improvisations worldwide, played jazz with Art Farmer, toured his acoustic drum’n’bass trio with Phil Donkin and Jimmy Norden, played more jazz with Pete Jacobson, worked with LTJ Bukem, Derrick May, Photek, Jazzanova, David Holmes, djed with Carl Craig, Stacey Pullen, Rainer Trüby, composed for contemporary dance and London Fashion Week. 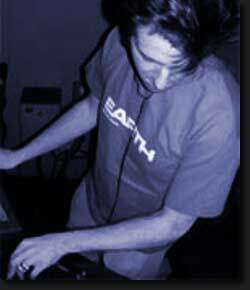 He has esthablished Visionofsound Records, been a visiting lecturer in electroacoustic composition and film theory, gained critical praise in The Wire, MOJO, TIme Out, Jazzwise, and much more. Having recently formed VINCENT SOLO and the NEW VINCENT QUINTET, he is continually developing his highly original and distinctive musical voice through his explorations of improvised, acoustic and electroacoustic musics. He is currently living in Berlin, where he is composing a new work for the Ensemble Sortisatio (Leipzig) and is lecturer in the Department of Europäische Medienwissenschaft, at the Fachhochschule Potsdam and Universität Potsdam.